The House Ways and Means Committee tax reform Blueprint contains a number of important provisions that promote growth. One of the most important is a proposed reduction in the corporate tax rate to 20 percent. The corporate rate reduction does more to raise GDP, wages, and employment than any other feature of the Blueprint except the provision providing for expensing of capital investments. [i] Other tax proposals also incorporate various corporate rate reductions. President elect Trump has called for a 15 percent corporate tax rate. Although a corporate rate cut is a powerful pro-growth tax reform, its growth effects alone do not quite enable it to “pay for itself ” in terms of its over-all effect on the federal budget. It needs some support from other tax or spending provisions, or income shifting from abroad, to be truly budget neutral, even in the long term. By the tenth year, federal revenue rises above the baseline projection of current law, due to higher levels of employment and income. Until then, however, the federal government has higher levels of borrowing. The added debt entails additional annual interest payments. After subtracting the projected added interest outlays, the rate reduction does not quite add enough to tax revenue to lower the out-year budget deficit, net of borrowing costs, compared to levels projected under current law. Over time, the provision results in slightly higher deficits, and a slightly higher ratio of debt to GDP. Most tax cuts lose revenue, even after accounting for their effects on GDP and job creation. 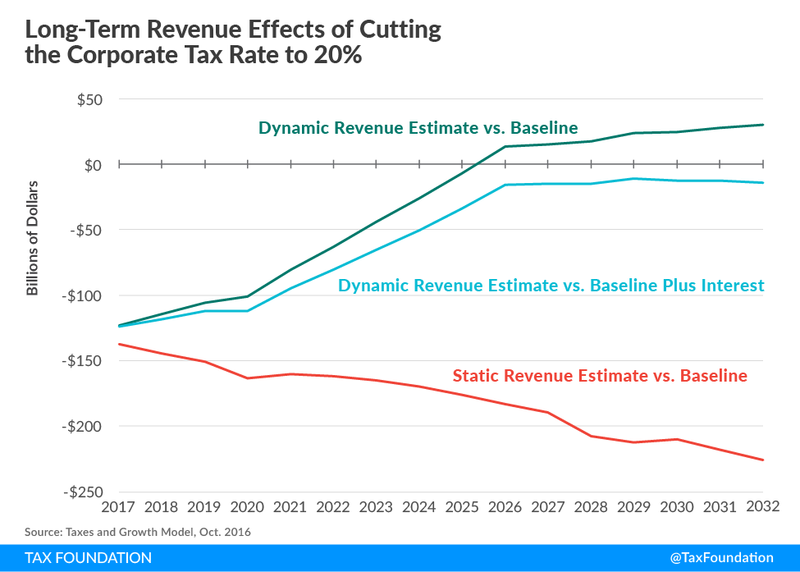 [iii] A corporate tax rate reduction would come close to paying for itself. It would lower revenue per dollar of GDP permanently, but would recover its revenue loss through growth in other tax payments by the end of the budget window with a small margin to spare. However, even a corporate tax rate reduction has a modest negative budget impact if one includes the effect of the added short run debt and interest payments. It does not quite pay for itself in a budget sense, barring a significant degree of income shifting from abroad. Of course, the real “pay for” is the significantly higher level of GDP, wages, employment, and household incomes across the country and across the income distribution. The gains to the people’s household budgets far exceed the small loss to the federal budget. [i] See Details and Analysis of the 2016 House Republican Tax Reform Plan available at: http://taxfoundation.org/sites/taxfoundation.org/files/docs/TaxFoundation_FF516.pdf Numbers cited here for stand-alone changes may differ due to the interactions among provisions in the Blueprint, and to an updating of the model incorporating new GDP forecasts and inflation assumptions. 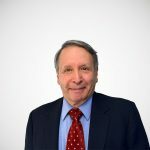 [ii] A shift in the amount of profits reported in the United States instead of foreign jurisdictions by multinational businesses could add several billion dollars in revenue a year to the figures offered here, and could reduce or eliminate the negative long run budget impact of the tax rate reduction. That outcome would be facilitated by the border adjustment provision in the House Blueprint, which would encourage the siting of intellectual property and other productive assets in the United States. [iii] Expensing is an important exception. See our blog: Long Run Growth and Budget Effects of the Expensing Provision in the House Republican Tax Reform Blueprint.